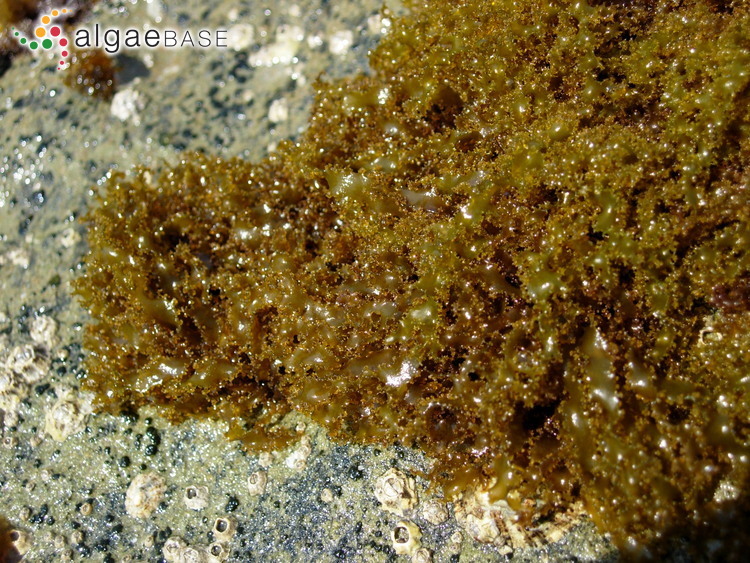 This is the type species (lectotype) of the genus Rissoella. Accesses: This record has been accessed by users 8773 times since it was created. Flores-Moya, A., Gómez, I., Vinegla, B., Altamirano, M., Pérez-Rodríguez, E., Maestre, C., Caballero, R.M. & Figueroa, F.L. (1998). 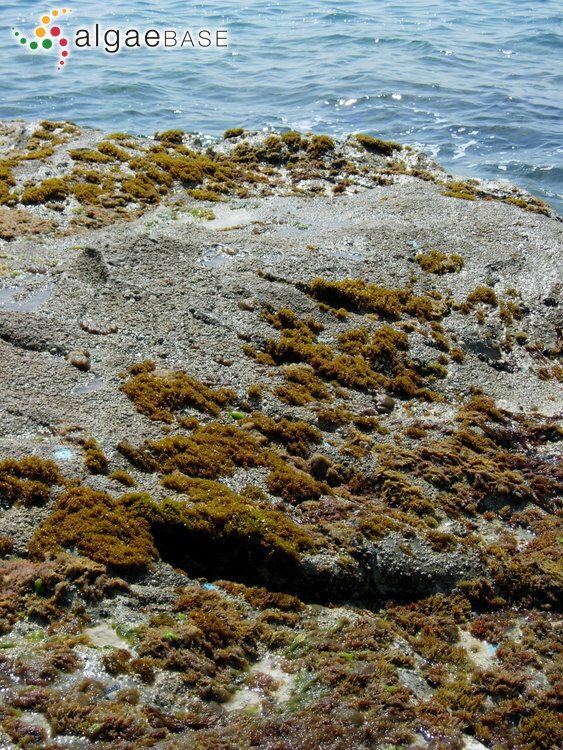 Effects of solar radiation on the endemic mediterranean red alga Rissoella verruculosa: Photosynthetic performance, pigment content and the activities of enzymes related to nutrient uptake. New Phytol. 139: 673-683. Mollion, J., Karamanos, Y., Feghali, R. & Moreau, S. (1987). 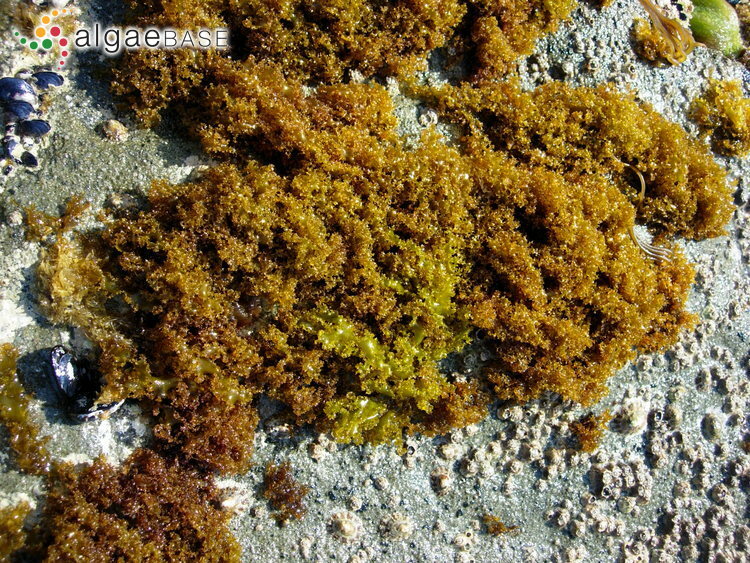 13C NMR study of the heterogeneity of the carrageenan from Rissoella verruculosa (Bert.) J. Ag. 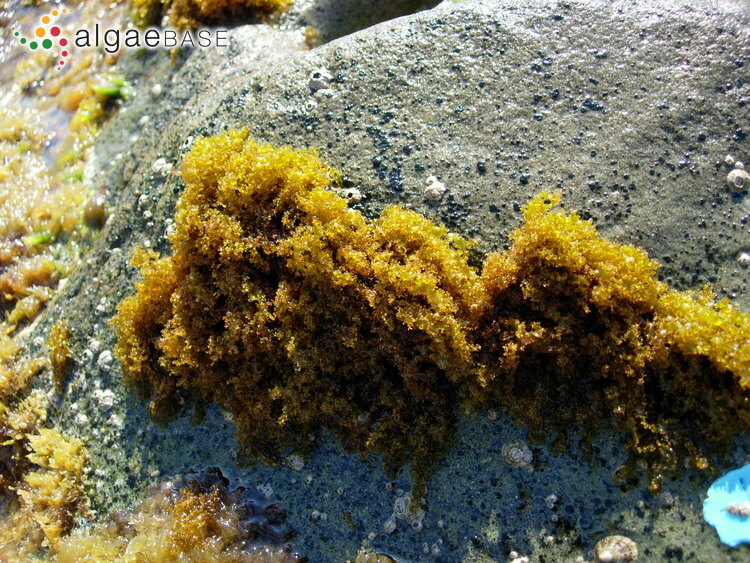 (Rhodophyta). Food Hydrocolloids 1: 413-421. Niell, F.X. (1974). 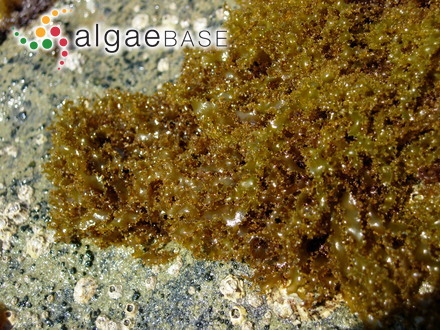 La présence sur substratum calcaire de Rissoella verruculosa (Bertol.) J.Ag. à l'île de Majorque.. In: . ( Eds), pp. 5. C.I.E.S.M.M. Monaco. Schotter, G. & Cabioc'h, J. (1963). Sur les organes mâles de Rissoella verruculosa (Bertol.) J. Ag. (Floridées). Compte Rendu Hebdomadaire des Séances de l’Académie des Sciences. Paris. Série D 256: 1336-1339. Schotter, G. (1964). Étude des organes mâles de Rissoella verruculosa (Bertol.) J. Ag. (Floridées). Boletim do Instituto Oceanográfico 63: 1-31.